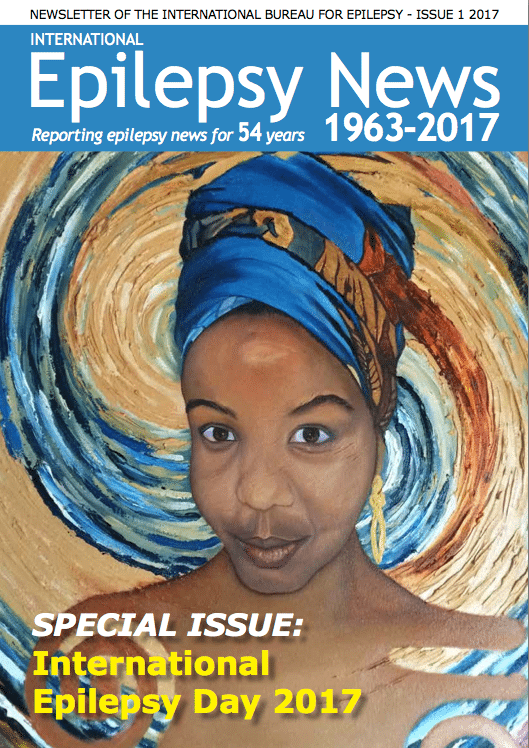 Our special issue of IE News to celebrate the 3rd International Epilepsy Day is full of news on IBE activities to mark the day. In 2016 more than 40 countries around the world celebrated the event and we hope that, this year, that number will increase. We have been using Campi, the mascot for International Epilepsy Day to promote various events in the lead up to the actual day and, those of you who use social media will have seem him crop up on Twitter and Facebook with charming little videos. Now, for International Epilepsy Day, we are launching the second of our website videos with Campi and his friends. This time Campi visits Dr Christina Langoustina at her surgery. The response to the Art Competition for International Epilepsy Day was amazing – both in terms of the number of entries we received and in the quality of the artwork itself. I am sure you will agree when you see the pictures on page 4. A major workshop, on the need for a global alliance on epilepsy research, took place in the European Parliament on 7th February, and had distinguished participants from both Europe and North America. You’ll find a report included in this issue. Finally, following the close of the elections to fill the officer positions on the IBE International Executive Committee 2017-2021, we present the President-, Secretary General- and Treasurer-elect. There is also an interview with President-elect Martin Brodie for you to enjoy. Until next time – good reading!